Even better, they tweeted it! 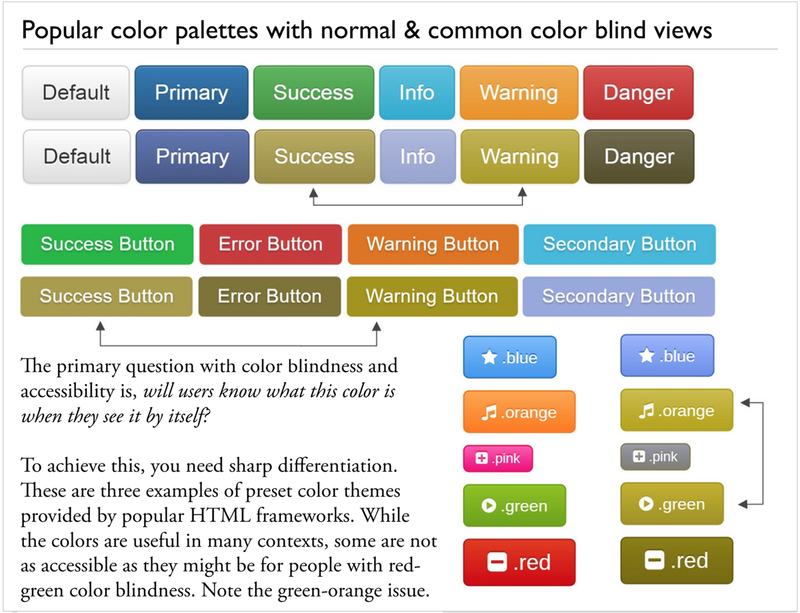 Screen capture, UX Collective’s tweet. 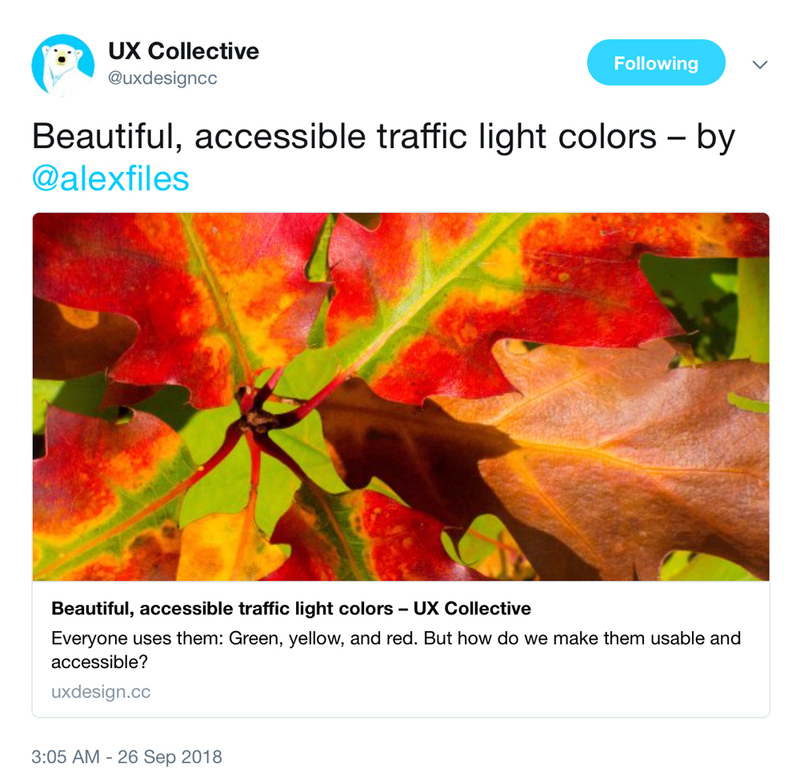 See the article on UX Collective (or here). Cross-posted from my Medium blog. 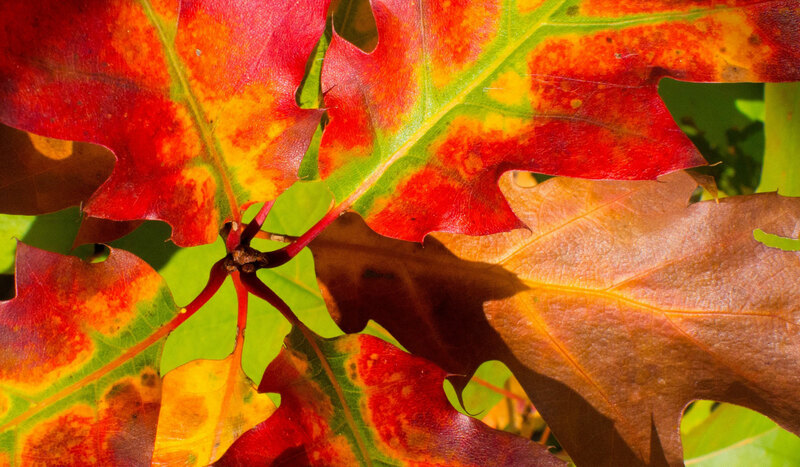 Autumn leaves showing off a glorious red/yellow/green palette. Photo by enneafive of Flickr, under Creative Commons by 4.0 license. Links below. 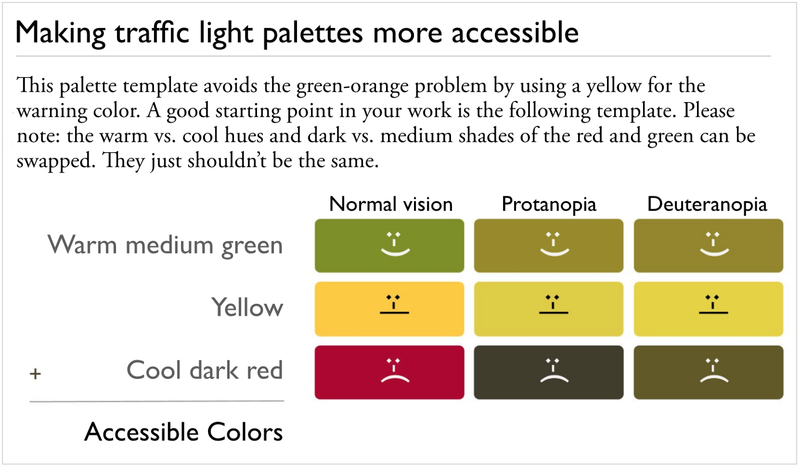 The Corblindor Coblis (Color Blind Simulator) is now my go-to tool. 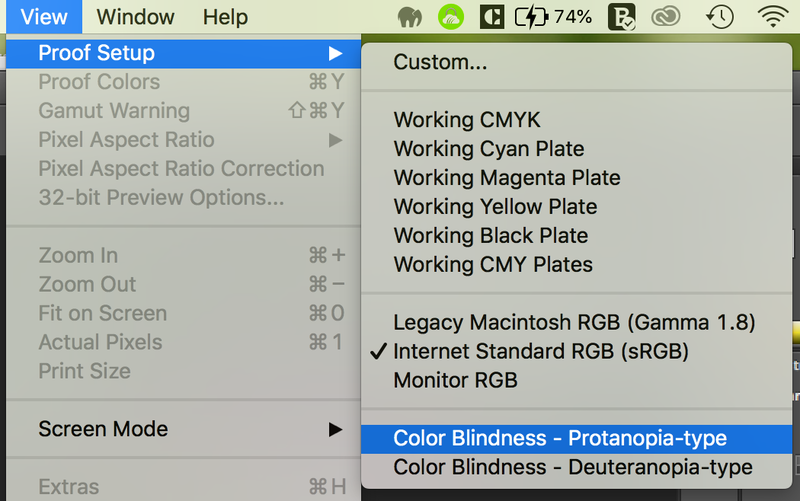 Just do a quick screen shot of your work, and see how it looks for many different types of colorblindness.